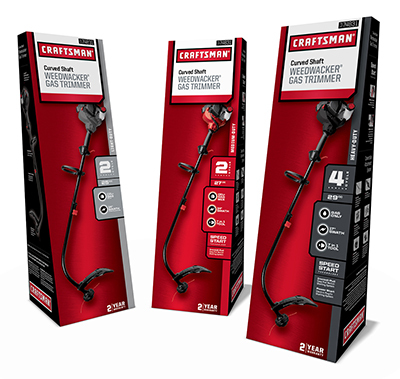 After the initial package design of the Craftsman Lawn & Garden rollout, some unintended consequences began to develop. When all the products were in-line together, it was impossible to shop between models. And there was just no visible reason to step-up to higher-end model. 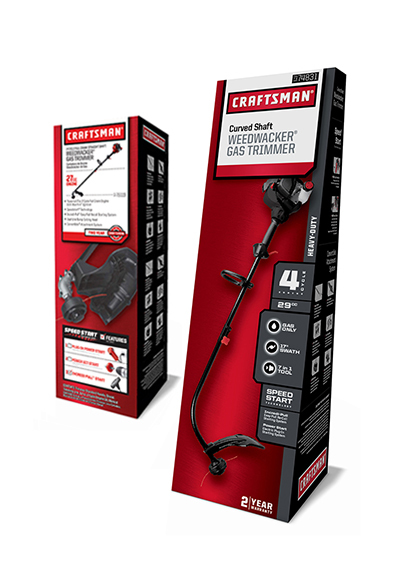 Working within the spirit of the initial redesign, Craftsman was able see immediate results from a new information architecture. The box was angled to face the consumer from the bottom shelf. And the benefits were organized in an easy to follow heirarchy in a color coded tab system.